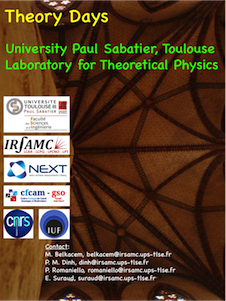 Each year, the cluster group organizes in Toulouse a workshop, the Theory Days, on a specific theoretical issue. The Theory Days workshop aims at stimulating constructive discussions, collaborations, and knowledge exchange among a selected group of theoreticians. Details on the previous editions can be found below.